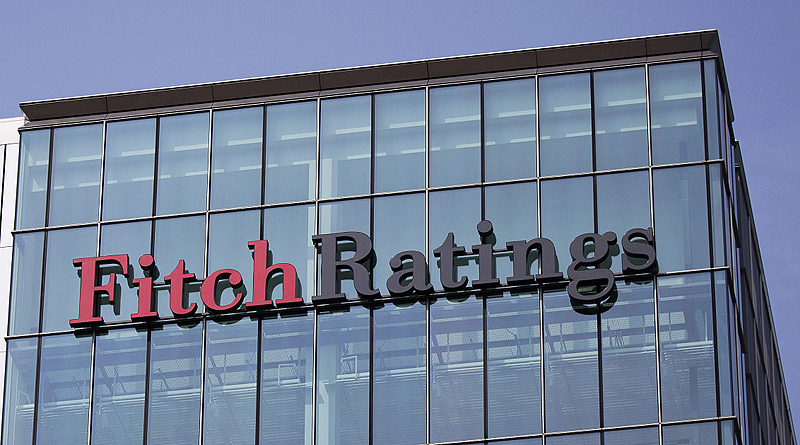 KUWAIT: Fitch Ratings has affirmed Kuwait’s long-term foreign currency issuer default Rating (IDR) at “AA” with a stable outlook. Kuwait’s key credit strengths are its exceptionally strong fiscal and external metrics and, at around $60/bbl, one of the lowest fiscal breakeven Brent oil prices among Fitch-rated oil exporters. These strengths are tempered by Kuwait’s heavily oil-dependent economy, geopolitical risk, weak indicators of governance and the business environment. A generous welfare state and the large economic role of the public sector present increasing challenges to public finances, given the robust growth of the Kuwaiti population. “We estimate that the foreign assets of the Kuwait Investment Authority (KIA) reached $561 billion or 394 percent of GDP in 2018, accounting for the bulk of Kuwait’s sovereign net foreign asset position of 479 percent of GDP (the highest of any Fitch-rated sovereign). Of the KIA total, the Reserve Fund for Future Generations (RFFG) accounted for almost $500 billion and has continued to increase, due to investment income and the statutory annual transfer of 10 percent of government revenue. “We expect the general government to post a surplus of around KD 3.3 billion (7.9 percent of GDP) for the fiscal year ending March 2019 (FY18/19), supported by another double-digit increase in oil revenue. According to the government’s usual reporting convention (not including KIA investment income in revenue and treating the RFFG transfer as expenditure), the deficit would be over KD 2.2 billion, which roughly corresponds to the financing need. “We expect surpluses to moderate in line with our baseline assumption that the Brent price will average $65/bbl in 2019 and $62.5/bbl in 2020.” The government’s authorization to issue debt has expired and it is unable to borrow, even to refinance existing maturities, which currently have to be met out of the GRF. As a result, general government debt fell to KD 7.4 billion (around 17 percent of GDP) at the end of FY18/19, from KD 8.6 billion in the preceding fiscal year. It is focusing its efforts on regulatory and administrative measures that do not require approval from parliament, which in turn is trying to minimize the immediate costs to its constituents of reform. The number of Kuwaiti nationals employed in the government rose by 5 percent in 2018, accounting for more than 80 percent of total Kuwaiti employment. The demographic and populist pressures facing the government were highlighted by the parliament’s recent passage of a law that allows Kuwaiti citizens to seek early retirement five years ahead of the official retirement age (55 years for men and 50 years for women). Early retirees will suffer a net 2 percent reduction in their pension, with pension payments by the Public Institution for Social Security (PIFSS) reduced by 5 percent but the government is agreeing to pay 3 percent to the retirees through the PIFSS. Official estimates put the impact on the government budget at KD 20 million-KD 40 million per year (less than 0.1 percent of GDP). It is unclear how this scheme will affect the growing actuarial deficit of the PIFSS, the current size of which is unknown but which was estimated at more than 20 percent of GDP in 2013. Real GDP rose by 1.3 percent in 2018, evenly split between the oil and non-oil sectors. “We expect a similar growth rate in 2019, driven by non-oil sector growth as the OPEC agreement and delays to refinery upgrades as part of the Clean Fuels Project (CFP) restrict oil sector growth. In 2020, “we expect a pick-up in growth to 1.9 percent with the completion of the CFP and the 615,000 bbl/day Al-Zour refinery. Upside risks to growth would be the end of the OPEC agreement, currently constraining Kuwait’s production at 2.73 million bbl/day (against capacity of around 3.15 million bbl/day), or a resolution of the dispute with Saudi Arabia over the Neutral Zone oilfields (which could mean a further 0.35 million bbl/day for Kuwait). Fitch forecast non-oil growth of around 2.5 percent in 2019-2020 amid continued growth of government spending on wages and investment. The government’s draft budget proposal for FY19/20 includes additional capital expenditure commitments of around 2.5 percent of non-oil GDP, after a similar increase in actual capital spending between FY17/18 and FY18/19. “We expect a slight pick-up of private credit growth to 5 percent in 2019-2020, from around 4 percent in 2018 (mostly in the oil and retail sectors). The banking sector would be well placed to extend more credit, being adequately capitalized, liquid and profitable.” Relatively muted domestic growth prospects have contributed to Kuwait’s track record of current account surpluses, stretching back more than two decades. As a result, “we estimate that Kuwait’s net international investment position was 527 percent of GDP in 2018, exceeding the sovereign net foreign asset position by around 50 percent of GDP.